As I stood there listening to her, I understood nothing. Not a word. Why after all this time of practicing was my comprehension so poor? I thought I have failed at Spanish and at life. But after my lowest moment, I learnt one valuable lesson. I learnt that listening comprehension can be improved. And the best way to improve my listening comprehension was in high stakes scenarios. Before I go too much further, I need to introduce the most common piece of advice you may hear for improving your listening comprehension. You should use passive listening. This is common advice. It didn’t work for me. Not even a little bit. 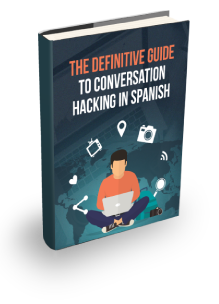 The idea of passive listening is that you expose your ears the sounds of Spanish by listening while you go to sleep, wash the dishes or drive to work. Don’t get me wrong, listening in the car is a great way to learn Spanish. But I hit a plateau from hours of passive listening. I couldn’t improve. And when I found myself in a real Spanish conversation I understood almost nothing. Yet the advice continues. I don’t know why. Maybe it works for some people? The alternative is active listening. This is where you are forced to actively engage in what you have heard. 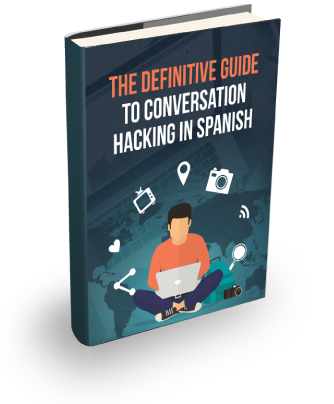 I designed the course Fluent Spanish Listening with this in mind. But there is one step better than an active listening course. Have a real conversation with a real person. This is what I call high stakes active listening. It’s high stakes because there is a lot on the line. Your pride. If you don’t understand then you will look silly. This added element of risk forces you to concentrate and focus. If there isn’t anything on the line, it’s too easy to lose focus. In today’s podcast episode I’m going to explain the four steps for improving your listening comprehension based on what worked for me. 1. Practice active listening in high stakes scenarios. 2. Practice active listening in general. How can you improve your listening comprehension?